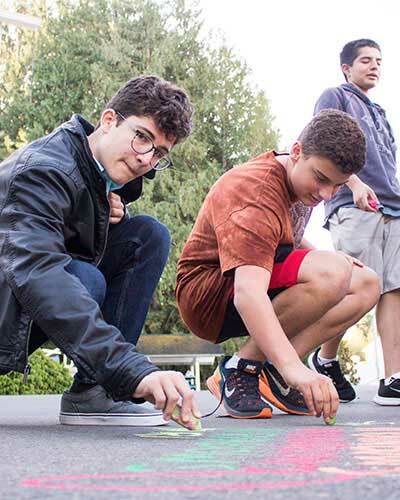 Student-led philanthropy, including fundraising or collections of goods on behalf of a charitable organization, is a worthwhile pursuit linked to The Overlake School’s mission to Teach Responsibility, Foster a Compassionate Community and Embrace Diversity. Student-driven philanthropic efforts have the potential to assist the recipient organization as well as provide powerful learning experiences for the students who are organizing, leading, and contributing to the effort. Fundraising activities that are most meaningful and responsible consider the mission of the organization and how it aligns with the mission of the school. In addition, successful fundraising activities include clear and timely communication with student donors about the purpose, process, and value or impact of their contributions. The review and approval process for student fundraising is objective, consistent and open to all established groups such as clubs, teams, homerooms, or individuals who (working with a faculty staff or advisor) form a team for a specific philanthropic purpose. Individual students will not be permitted to fundraise, but may collect objects on campus or through the school’s publications for their personal efforts such s Scouts projects or Bar and Bat Mitzvah projects. These students must go through the same required application and approval process as groups. The review and approval process will also facilitate scheduling for multiple student-led fundraisers that span the semester or school year to avoid competing interests with one another or the broader fundraising efforts of our Development Department at Overlake. Suggestions or strategies for avoiding donor fatigue or scheduling will be recommended in these cases. There are certain philanthropic activities that are institutional and will not need to be approved by the advisory board. These groups may change over time, but currently they are the Student Benefit Concert, Holiday Helpers, and the Global Service Program (including Cambodia and Uruguay school). However, the student leaders of these philanthropic efforts still need to communicate with the student advisory board so that their activities are included in the fundraising calendar. The application must be coordinated and submitted by an established campus group that is supervised by a faculty or staff member. Individuals conducting collections must have a faculty or staff advisor as well. The fundraising effort must be on behalf of a registered 501(c)(3) federally tax-exempt, charitable organization. All activities must be conducted by students, not parents. Student account charges may not exceed $5 per philanthropic activity. The application must be submitted at least 2 weeks prior to the proposed philanthropic activity.